Each protein is grass-fed, cage-free or wild caught to guarantee your pet is eating as nature intended. All of the produce in our recipes are 100% organic certified, grown by farmers we know and trust. Our all-natural recipes are crafted with care in our own USA kitchen to provide the highest levels of protein rich meat and quality grain-free nutrition for your pet, as if they were in the wild. 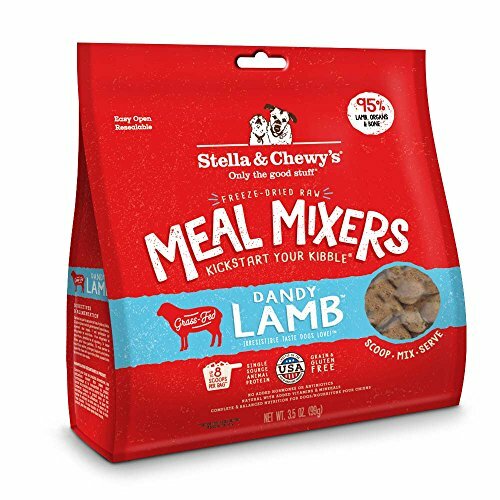 If you have any questions about this product by Stella & Chewy's, contact us by completing and submitting the form below. If you are looking for a specif part number, please include it with your message.